Jo-Ann Ledger has kindly provided a wide range of photos showing TVW staff in a social environment. 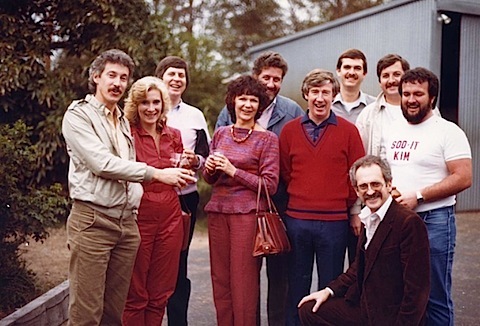 In a way they reflect the end of Seven’s golden era, after the company had diversified into many activities from broadcasting to co-productions, movie making, Radio stations, Lion Parks, Cinemas and even butcher shops… to be then taken over. 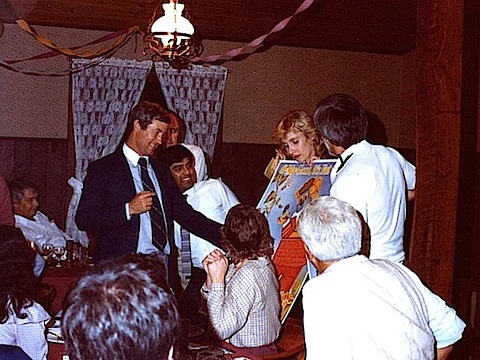 A number of photos were taken at staff farewells, as the company changed ownership, policies changed, and the once powerful and independent television station/production house underwent a transition from being the hub of a large organization to the status of a relay station, except for local news and current affairs programs and the annual Telethon. 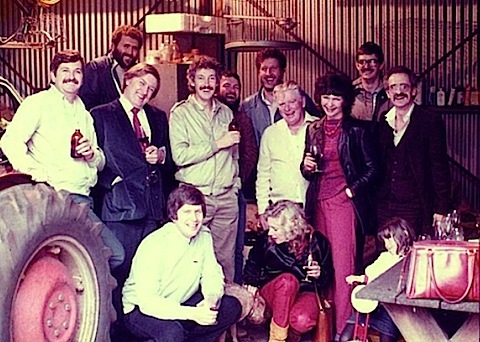 Keith Spice and Tim O’Dea used to organise an annual “Sod-it” exec bus trip – they were great fun. 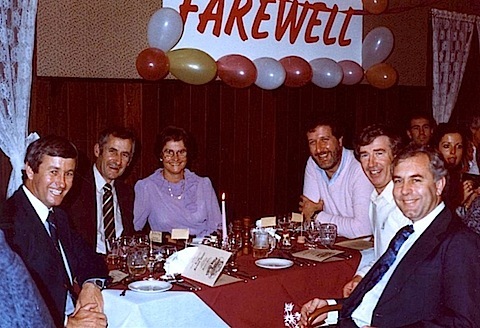 Left side of table sitting front to back: Gerry Swift, Val Sutherland, Martin Trevor, Jo-Ann Ledger, Ross Tinney. 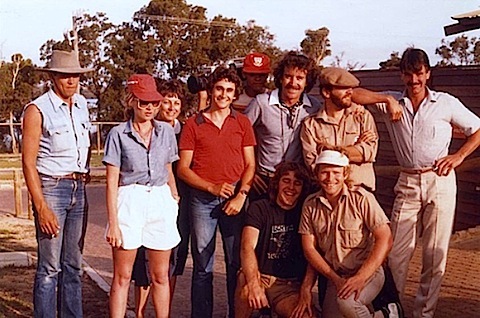 We made a half hour documentary for the opening of Adventure World – this is the crew – I wrote it, Ross Tinney directed – can’t remember the guy who hosted, plus with some of the crew… think it was one of those wonderful sales deals… buy this and you get a half hour doco!! 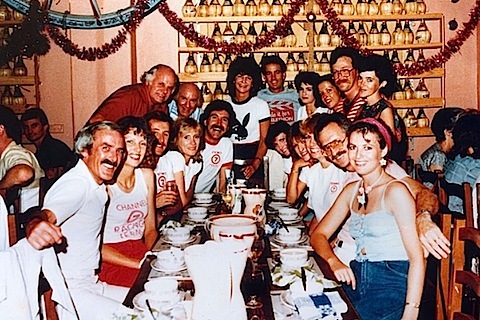 Left to Right: Unknown, Jo-Ann Ledger, behind me unknown, Red Shirt – First name? Binks?, Ross Tinney …the rest can’t remember, though I do know the faces!! 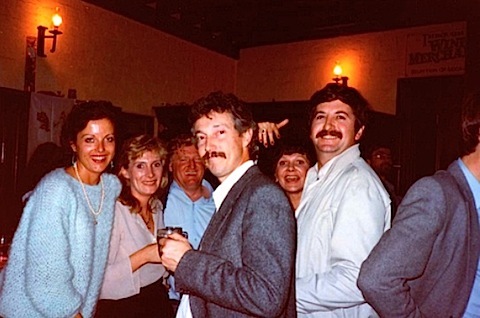 In the 80’s there was a mass exodus of execs, so much so that we had to start holding bulk farewells…this was at Pioneer Village for Alf Binks, Russel Perry and I think Barrey Williams!! 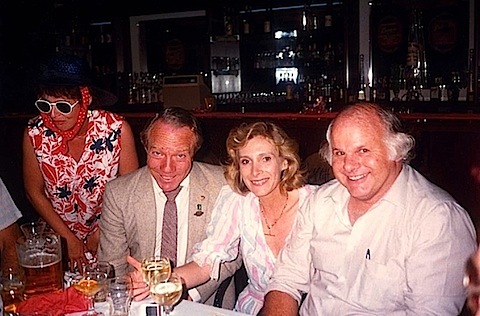 Hi Jo-anne, the (red shirt-first name) is David son of Alf. 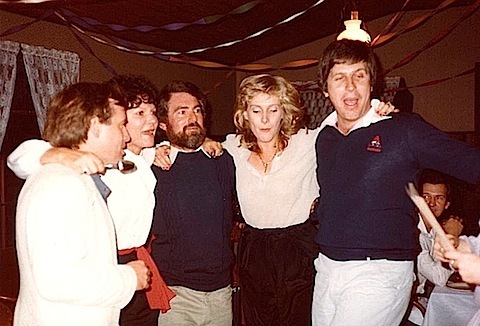 Great to see the flashbacks… I was quite involved commercial productions, Miss West Coast and Manequin of the Year through the 70’s and 80’s (Gail Forder nee Anderson) David told me that he found some archived footage but I never saw it. 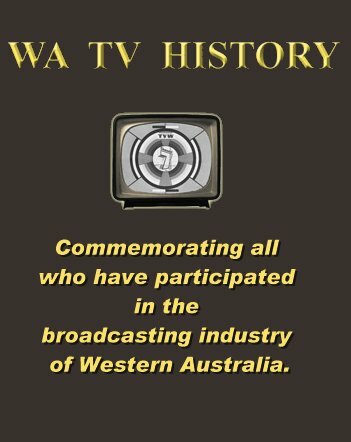 never before in the history of wa television have we seen more grey hair and wrinkles as we have seen on these websites -more grey than an anzac day march past-and I ‘m one of ‘em. 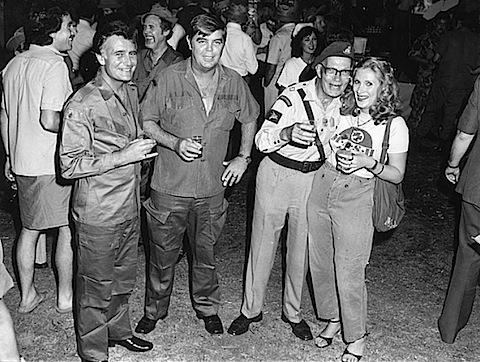 The “no name” accountant guy in a couple of photos was Malcolm Graves who worked with me in the accounts dept. After 7 he returned to live and work in Vancouver where his wife had originally lived. I confirm thae guy with the beard is Peter Dales. Can’t quite understand why all these people look so familier. “One Hump or Two” probably re classified today. 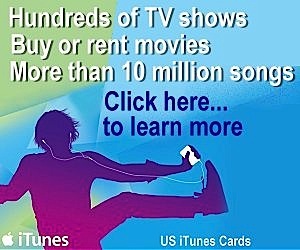 Jo-Ann, I came across this site and saw a familiar face. It’s been about 20 years since I last saw you when I was with ADS10 and then SAS7. 1f you happen to see this please feel free to drop me a line.